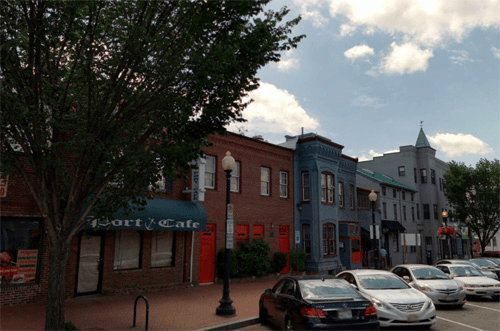 The Eighth Street Southeast Neighborhood Mixed-Use NC-6 Zone is located in along 8th Street, L Street, M Street, and Potomac Avenue, S.E. near the entrance to the Navy Yard on non-residentially zoned lots. Provide for safe and efficient pedestrian movement by reducing conflicts between pedestrian and vehicular traffic, so as to improve access to retail. 1Except as prohibited on the roof of a detached dwelling, semi-detached dwelling, rowhouse, or flat in Subtitle C § 1500.4.